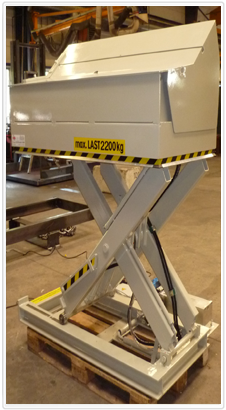 Scissor lift with rail chassis and hydraulic outriggers for the transport of large cable reels – payload 20 tons. 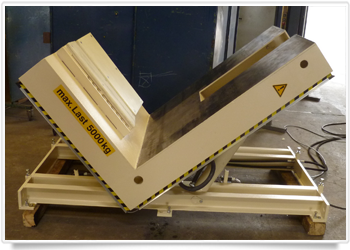 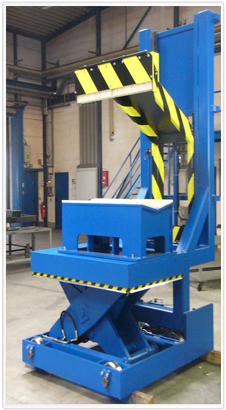 Special machines for the handling of sheet metal coils. 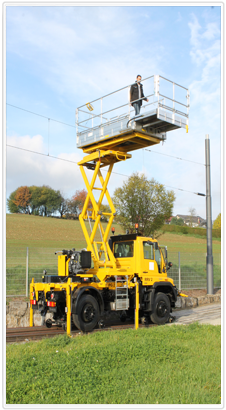 Scissor lift with rotating platform and feeding unit for a building maintenance platform mounted on a two-way Unimog. 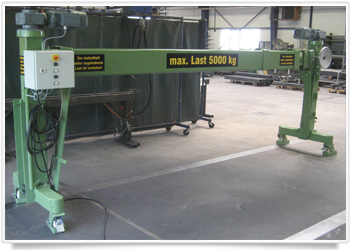 Coil handling system with lifting table and hold-down. 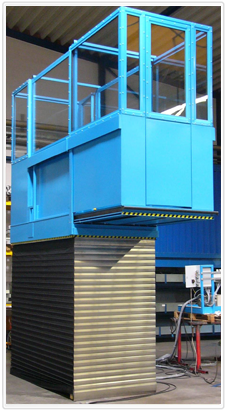 Scissor lift with feed and constructed guarding with windows made ​​of safety glass – used as a server platform in a large milling machine. 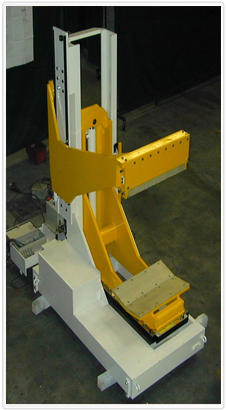 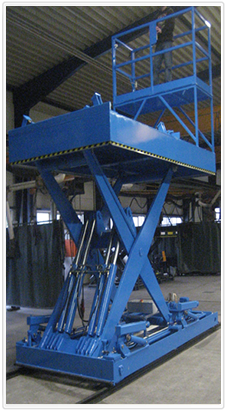 Scissor lifting table in an industrial plant with tilting platform and prism guide. 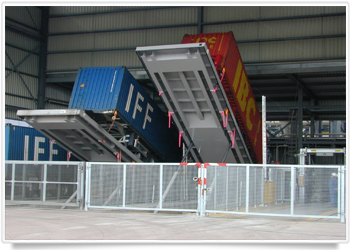 Tilting platform to accommodate truck trailers for emptying bulk.